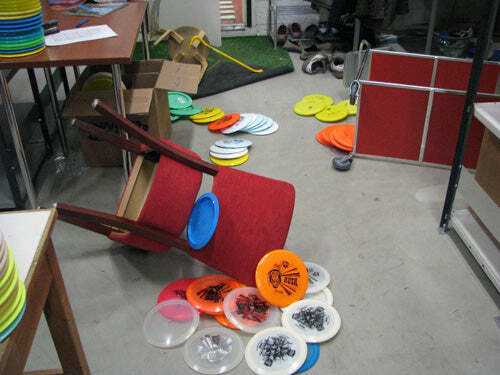 Burglary at the Discmania warehouse, C-line prototypes stolen! The very second we arrived to our warehouse this morning and saw the tire marks in the snow, we realized that something wasn't right. Once we got to the door, we noticed that the lock had been picked and it was still open. It was somehow freezing cold inside too. What was awaiting inside, we never would have guessed: Piles of discs lying on the ground - the thief must have been looking for something in particular. At first we didn't even realize what had been taken. Although the thief had left quite a mess behind, everything seemed to be in place, as if the thief hadn't found what he/she was looking for. After a good ten minutes it finally hit us - "The briefcase! The briefcase is gone" someone shouted. The briefcase in mention happened to contain very valuable first prototypes of the new Discmania C-line models, the very first ones ever to be stamped with the new Discmania C-line stamp to be exact. Then it became clear to us. The thief had definitely known what he was looking for. Very few people even knew about these discs. Had someone betrayed us? 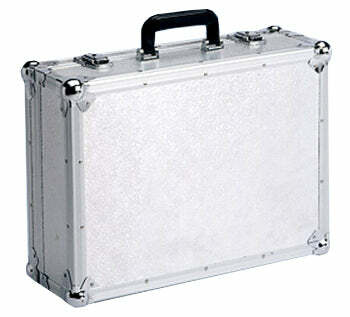 Have you seen this briefcase? Now, dear Discmaniacs, we need your help. If you have seen any of these new C-line discs being sold in secrecy or anyone moving around disc golf courses with a big metallic briefcase, we would very much like to know about it. The contents of that briefcase are very valuable and we don't want the prototypes of our new line ending up in the wrong hands.